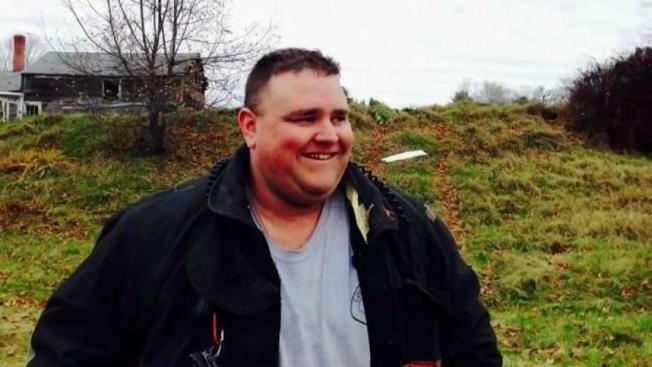 Benjamin Tatro, a firefighter from Swanzey, New Hampshire, went into cardiac arrest and died during a scuba trip in Gloucester, Massachusetts. It was supposed to be an enjoyable day trip with his buddies to Gloucester, Massachusetts, but while Benjamin Tatro of New Hampshire was scuba diving Saturday morning, things took a tragic turn. Authorities say the 36-year-old Swanzey firefighter went into cardiac arrest after getting tangled in some lines. "It was surreal," said Mick Sanchez, the deputy chief at the Swanzey Fire Department. "We're more in shock than anything else." Tatro was a lieutenant at the department. His fellow firefighters are still coming to terms with the death of a man they say was so full of life. "It was devastating to get that kind of news," said Fire Chief Norman Skantze. "We lost a member of our family." Tatro's friends call him a fixture in the community. He spent 20 years as a firefighter, he worked as an emergency room technician at a nearby hospital and he coached baseball teams in town. "The atmosphere he brought to the field, he made things fun, and he made the kids smile," said Kevin Dean, who coached Swanzey Cal Ripken Baseball with Tatro. It's clear that Tatro wore many different hats, but there's one that meant more than all the others. "His biggest job was being a dad," Sanchez said. He was never happier than when he was with his wife and two young girls. "They just had fun, they loved their dad and he loved them right back," Sanchez said. Tatro's wife, Sarah, wasn't ready to talk about her husband on camera, but she asked Deputy Chief Sanchez to relay a message. "If she wanted someone to remember Ben, she wanted them to remember that when he loved something, he loved it with his whole heart," Sanchez said. Sarah Tatro also told Sanchez that there are few things her husband enjoyed more than scuba diving, so she's finding comfort in knowing he died doing what he loved. Services for Tatro are still being planned.